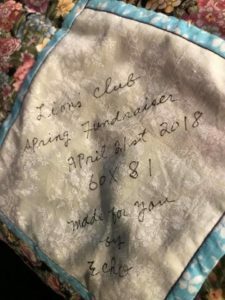 To help support multiple community initiatives in the coming year, we will be conducting a series of raffles for items donated to the Lions Club from members of the community and local businesses. 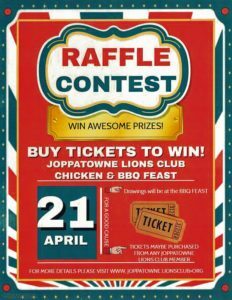 Tickets for all raffle items can be purchased here if you are not able to attend our Chicken BBQ on April 21st. We will mail your tickets directly to you and post the names of each winner on this page the day following the event. Check back often as we add more! 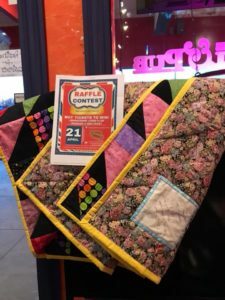 Mrs. Griffin’s personally autographed quilt measures 60″x 81″ and would be perfect for a couch, futon or daybed.